The mercury levels are shooting up to new heights, and it is very important to keep your cool in these scorching summers. Quench your thirst with water – It’s important to stay hydrated in summers as you can experience symptoms such as headache, fever, constipation, dizziness etc. if you’re not consuming enough water. Alleviate summer burn by consuming at least 10 glasses of water per day. Drink green tea – Green Tea can be magical for you in these summers. The antioxidant properties of green tea fight wrinkles, age spots and other forms of sun damage. Excessive exposure to sunlight can cause skin redness; green tea is also a saviour in such a situation as it reduces all those redness. Have two cups of green tea in a day for a healthier summer! Cut intake of fried foods – Don’t munch on fried foods like samosa, vada, bread pakora etc. especially in summers. As fried foods take longer time to digest, they should totally be avoided in summers. Have fresh veggies and fruits instead of all these junk food, as they will keep you energetic all day in summers. Drink lemon juice, coconut water and buttermilk – Including healthy drinks like lemon juice, coconut water and buttermilk in summers will keep you hydrated and would also improve your digestive health. Say bye-bye to summer blues with healthy drinks. Snack at work – If your work involves sitting in front of a computer for 9 hours, you must put your favourite healthy snacks like fruits, yogurt, dark chocolate on your desk. Having these nutritious snacks at regular intervals will nourish your body and help you beat the summer heat! 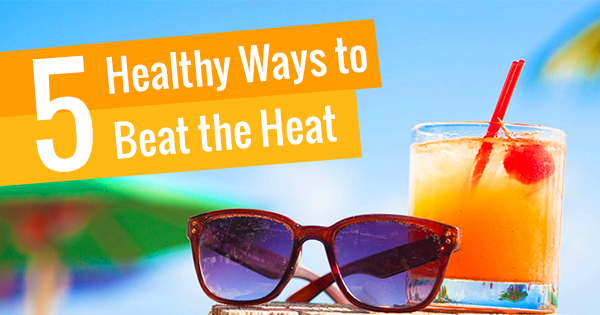 With the sun shining bright upon us, adopt these healthy ways to bid adieu to the summer heat! Tuberculosis, commonly referred to as TB, is caused by the airborne bacterium called Mycobacterium Tuberculosis. It can affect different areas of the body, but mostly, it affects the lungs. According to WHO, TB is one of the top 10 causes of death globally. Latent – In latent TB infection, people don’t feel any symptoms, because the bacteria live in an inactive form inside the body. Latent TB can’t be transmitted. Active – When the immune system gets weakened, latent TB can convert into active TB. Active TB can affect lung, as well as joints, bones or central nervous system. This is highly contagious. TB spreads from one person to another, through the air. When someone with active TB of throat or lung coughs, sings, speaks or sneezes, they send germs into the air. And when you breathe in the same air, you are most likely to catch those germs and become infected. Mostly, it is spread if you spend a lot of time with the infected person. You can get if a family member has it or if you are spending too much time with a friend who has active TB. 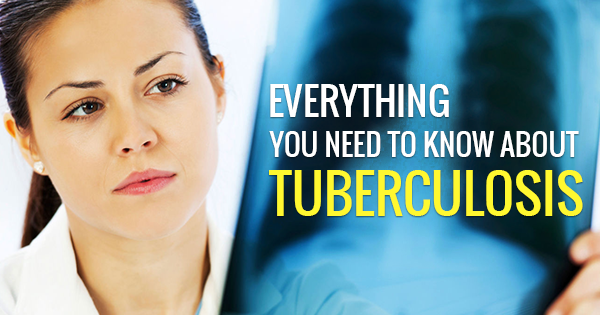 TB can be diagnosed with a simple skin test, and can be cured with antibiotics. How can you protect your family and friends if you have active TB? Don’t go out and mingle with people. Stay home till you don’t recover completely. Cover your mouth with a tissue while sneezing & coughing, and put the tissue in some plastic, and throw away. During the initial weeks of your treatment, wear a surgical mask while interacting with other people. Studies reveal that approx. 5,00,000 Indians die every year of TB. Let’s practice good hygiene like washing hands regularly and using a tissue while sneezing, etc. to change this statistics! 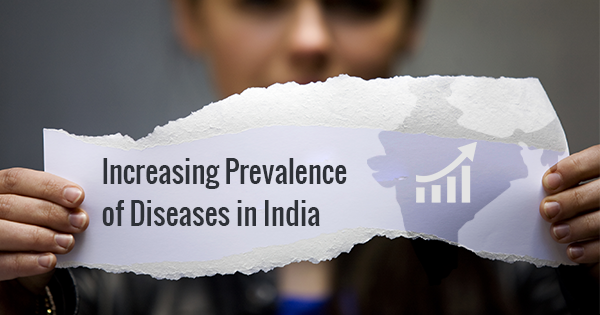 Unhealthy diet, sedentary lifestyle and alcohol consumption have led to a sharp rise in the number of diseases in India. According to World Health Organization (WHO), 1 in 4 Indians are at risk of dying from non-communicable diseases (NCDs) like heart diseases, lung & respiratory diseases, high blood pressure and Cancers, before they turn 70! Communicable diseases like cholera, malaria and polio have been replaced by lifestyle diseases. Do you know that heart diseases have become the number one cause of death in India? It is shocking, but true! Not only heart diseases, but thyroid and kidney related diseases are also increasing day by day. According to the reports by Indian Thyroid Society, 1 in every 10 adults suffer from hypothyroidism in India, and 1 in 10 adults also suffer from chronic kidney disease, according to Sanjay K. Agarwal, Head of Nephrology, AIIMS. Younger lot is experiencing more and more diseases because of the lifestyle they are living, and also because younger people hardly go for preventive check-ups in India. The earlier the disease is diagnosed, the easier the treatment becomes! So, to avoid such diseases, people must go for preventive check-ups and take proper cautions. Fitness Health Package by Oncquest is an easy and convenient package to protect you and your loved ones’ health. This package is at half the MRP Price, and includes all tests from kidney function test, thyroid profile test, blood test to lipid profile test and more. With this package, you can get tested at the comfort of your home as they have the option of home collection service, and also you don’t have to travel long distances to take your reports as they are available online! A delayed diagnosis is harmful for your health. Make regular check-ups a part of your life, because there’s nothing more important and precious than your health! Women’s Day is a gentle reminder for all the beautiful women to celebrate themselves! Women are the caretakers of families. But they often neglect themselves and their health, because either they are too busy taking care of their families or they are burdened with the pressure in jobs. Go out for a walk – Start your day with a walk. Breathe fresh air in the morning and enjoy your own company; sometimes it’s important to cherish solitude and introspect about life. Additionally, early morning walk is said to reduce high blood pressure and high cholesterol. Make time for your hobbies – Be it dancing or yoga, do it if you like it. Daily activities of our lives can cause boredom or depression in our lives, these hobbies would make us happy and healthy. There are numerous classes happening in the city, you can join any class based on your interest. Healthy lunch with friends – Plan with your gang of girls and book a table at your favourite restaurant! Eat a healthy diet; you can have chicken, fish or if you’re a vegetarian, you can go for green leafy veggies, pulses, sprouts as they are high in iron. Take less stress – Forget about all the worries on this day, and live a healthy, happy day! Wake up with a smile and sleep with a smile. You deserve that! Take pledge towards a healthier lifestyle – Don’t just adopt healthy choices on this day, but try to incorporate these in your day-to-day life. A healthy lifestyle will keep you happy, not just for a day, but for your entire lifetime. 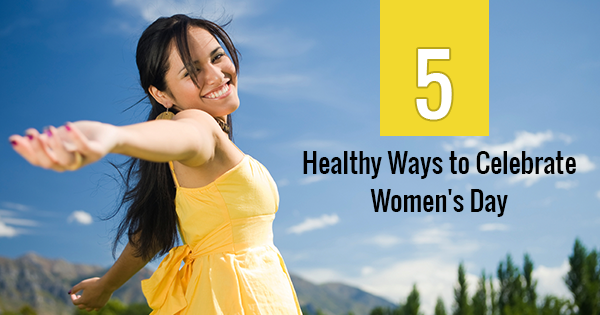 Balance between your personal and professional life this Women’s Day, and make time for yourself & your health. A very happy Women’s Day to all!